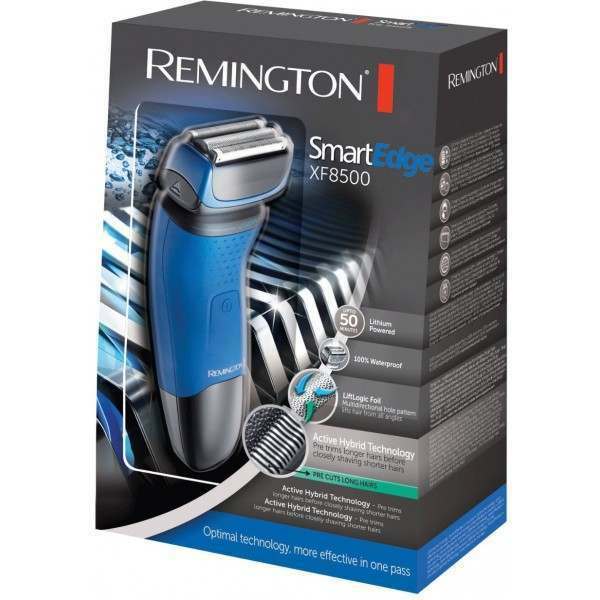 Create the style you want with the Remington XF8500 Smart Edge Foil electric shaver. 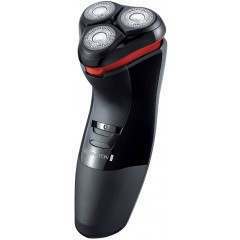 The shaver uses Active Hybrid technology to trim longer hairs before catching shorter hairs, to prevent pulling of the skin and to help reduce skin irritation whilst shaving. 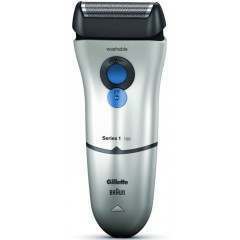 Enjoy ultimate power every time you want to shave, with one charge providing 50 minutes of shaving time. On the cutting edge of technology, the Remington Smart Edge is a foil shaver designed with technology for performance and shaving results. 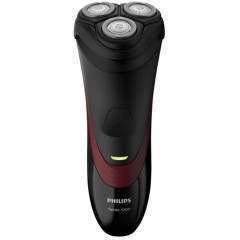 Now you can achieve a seriously close shave that follows the contours of your face, without irritating your skin. Foil shavers have come a long way and this design gives you cutting performance with just one stroke. 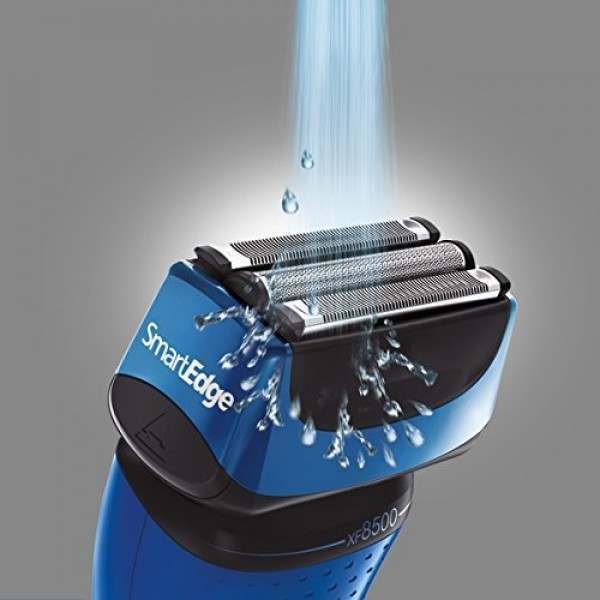 With greater versatility, the Remington Smart Edge is 100% waterproof and can be used on wet or dry skin. Plus Lithium Powered batteries deliver longer run time and performance. 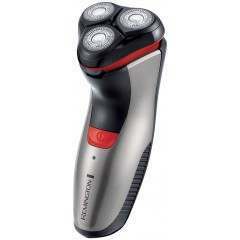 All this, plus an ergonomic design for a more comfortable shaving experience. To deliver superior cutting performance while maintaining minimum irritation to the skin, the Remington Smart Edge uses Active Hybrid Technology – this means that longer hairs are trimmed before any shorter hairs are cut, so there is less pulling on the skin and reduced irritation while shaving. Not only that, the Lift Logic Foil technology ensures that hair is gently lifted and easily guided into the blades. 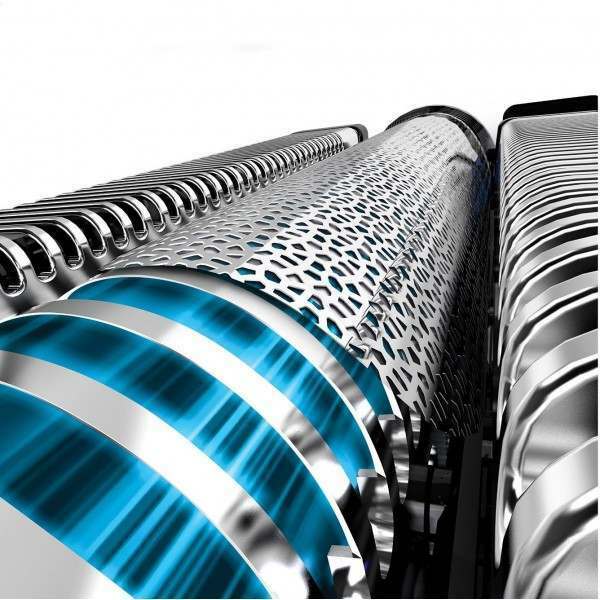 Plus, hairs are captured from all angles of growth thanks to the innovative multi-directional foil pattern. Advanced, arched AccuCut blades deliver a smooth, close shave that is seriously precise and produce less noise and reduced vibrations for a more comfortable shave, as well as less clogging for quicker and easier cleaning. 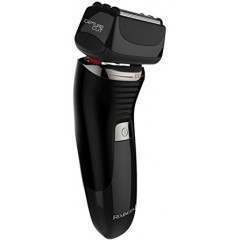 100% waterproof, this shaver can also be used on wet or dry skin. Combining technology with foil shaving essentials, the Remington Smart Edge offers superior results with just one stroke of the shaver. 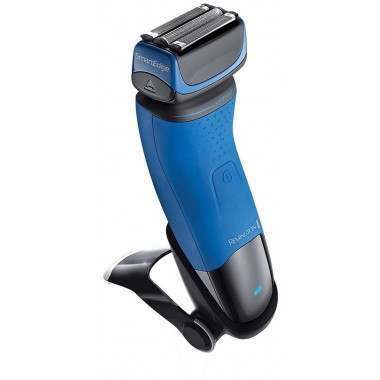 To ensure you achieve the closest shave possible, the Remington Smart Edge features an ergonomic design with a 19°angled head, for an easier, more comfortable shave. 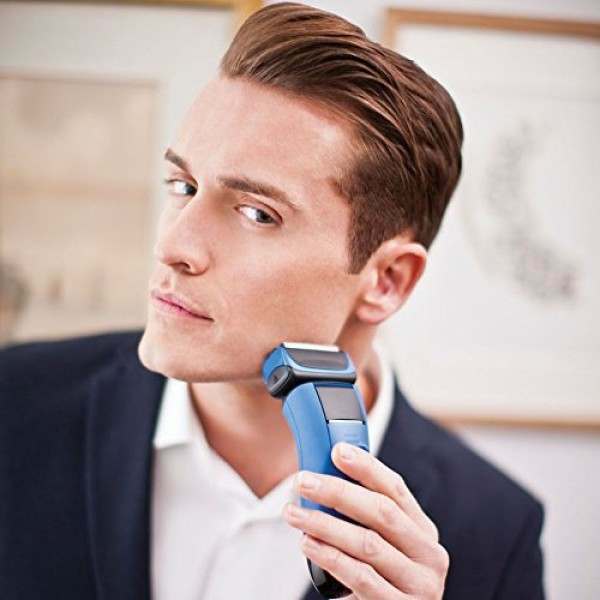 The shaving head and foils cleverly flex and adjust as you shave, ensuring they closely follow the contours of your face, making shaving the chin, jaw and neck areas almost effortless. This close contact and immediate response not only gives you a better shaving experience, but makes the Smart Edge quick and easy to use. 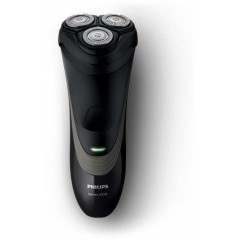 The Remington Smart Edge is driven by Lithium Power, which guarantees a long, powerful shave. 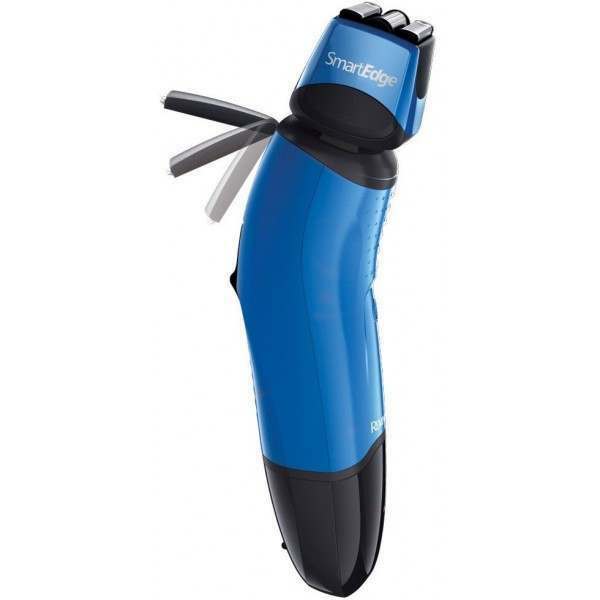 Once charged, this foil shaver delivers 50 minutes of cordless usage, ideal for on the go grooming. View our handy how-to guides over on the Shavers.co.uk blog for expert shaving tips and product advice by our team of professionals. 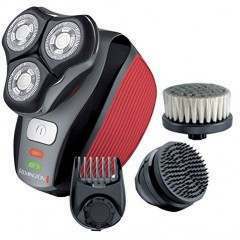 The shaver looks good but doesn’t charge so returned to supplier. Recently purchased in long line of Remingtons. Shaves OK but has 2 particularly annoying shortcomings. Firstly, because there is only one cutter which is in the middle of 3 foils you cannot shave the fiddly bits especially on upper lip below the nose! 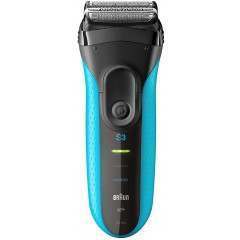 Secondly, the pop up beard trimmer is one of the narrowest I have seen - needs to be much wider! !